Today, Eileen and I started the day out by sleeping in, then getting up, showered, drank our morning double espressos, and headed out the door to Bear Mountain Lodge for brunch. If you're ever in the area, this is a great place to stay and an equally great place for brunch. During part of the year, the Lodge also does dinners. Worth it. On returning from the Lodge, we both hung out for a while, digesting our meals (dozing, actually). Lasagna made with phylo dough and lots of fresh veggies. Really good. After digesting this meal, I got up and put on my cycling clothes for a shortish ride. 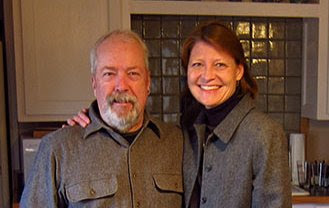 Headed out the door, saying adios to Eileen, who was on the phone with her mother, Marilyn, who lives in Kansas City, MO. Took the hard, but shorter route today. At the top of Snake Hill (Market Street), I headed West on Rt. 180. 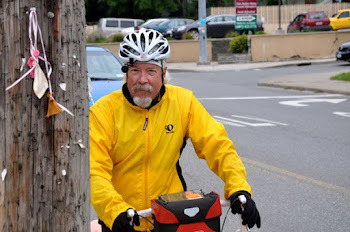 To my immediate left, I saw two touring cyclists, so I pulled over to their side of the road only to have them bicycle by me without stopping. WTF? That was a first. 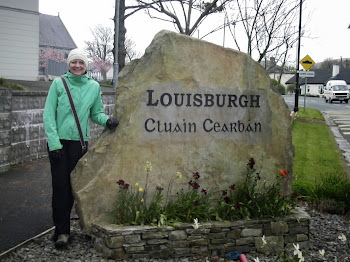 When I told Eileen after I got home, she said they must be from L.A. or NYC. I laughed. 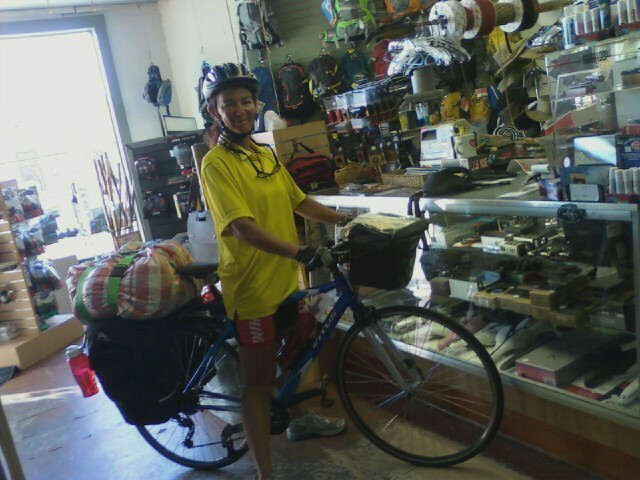 Seriously, I have never had touring cyclists just bicycle by me without stopping. Put me in a funk for a while. 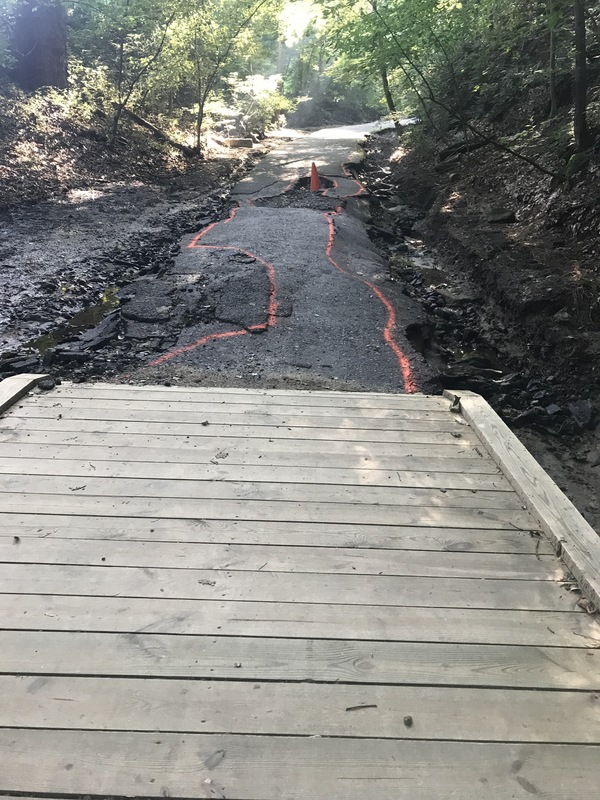 Hope that doesn't become routine for touring cyclists. Can't really think that it would. 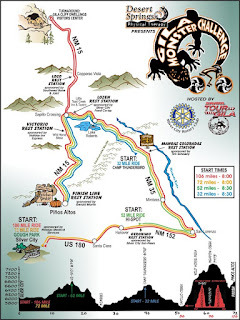 So, may they encounter LOTS of big, steep hills...I kept cycling out Rt. 180, enjoying the view and the weather was superb for cycling. In the 70's, sunny, nice breeze. Smile on my face. Rode out through some of the hilly parts of Rt. 180, then turned around to do the hills again, cut over on the truck by-pass road to Rt. 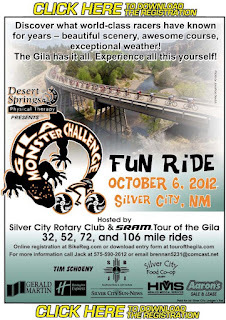 90, then headed into Silver City, looking to see if Gila Hike & Bike was open. 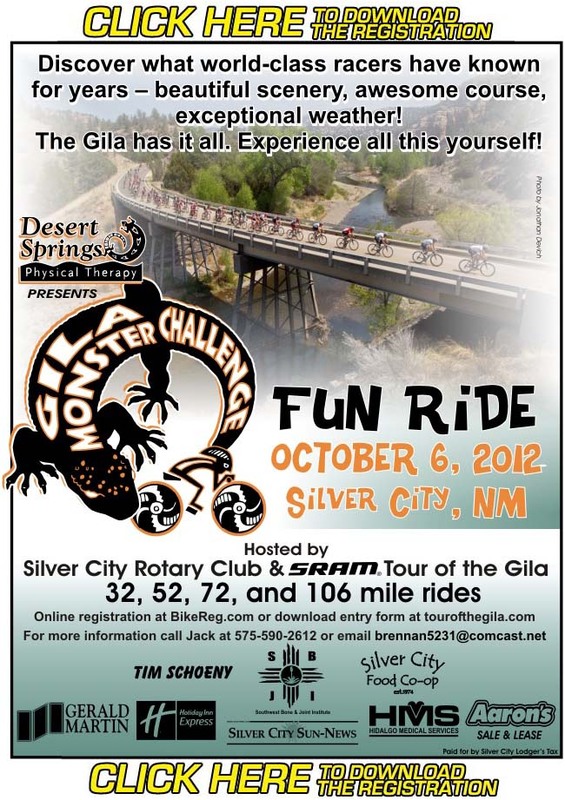 Wanted to see how the "Gila Monster Challenge Fun Ride" went yesterday. While the word "Fun" is in the description, it's not my idea of fun. 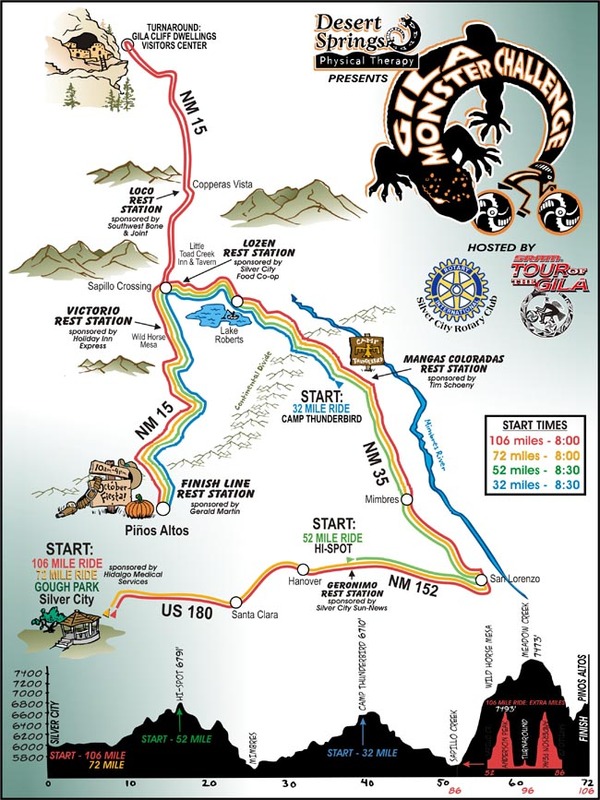 It's a benefit ride for the SRAM Tour of the Gila road race that's held in Silver City annually. 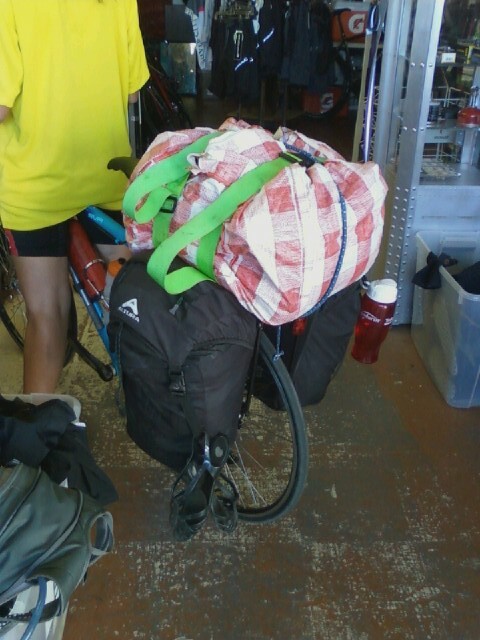 Note the panniers and the VERY large bag strapped to the rear rack! 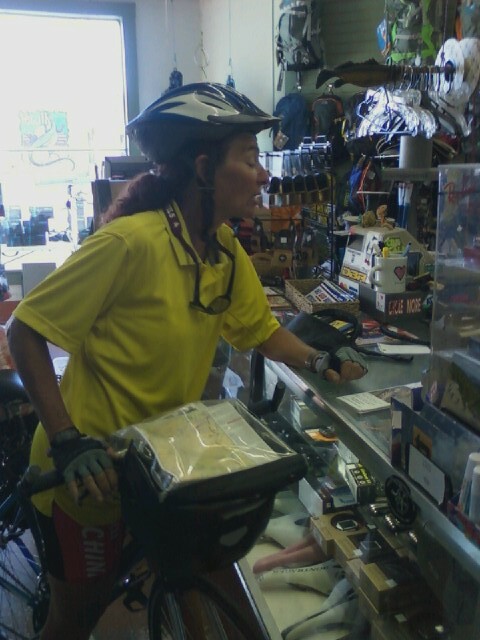 That's Dave, the wrench, and Glenn behind the counter. And ready to laugh, too! 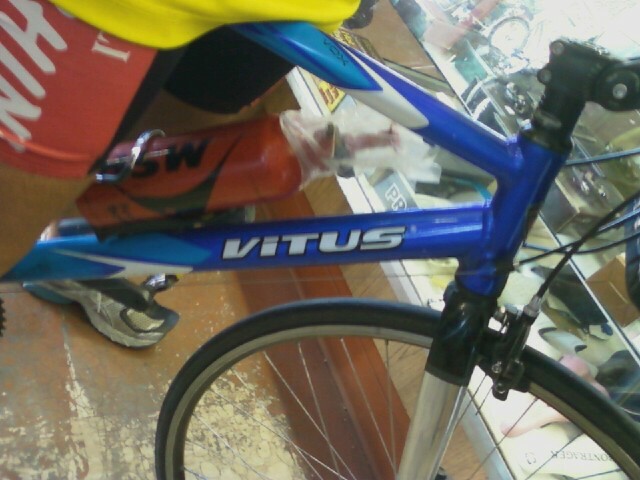 Another view of the gear on the back of this Vitus. 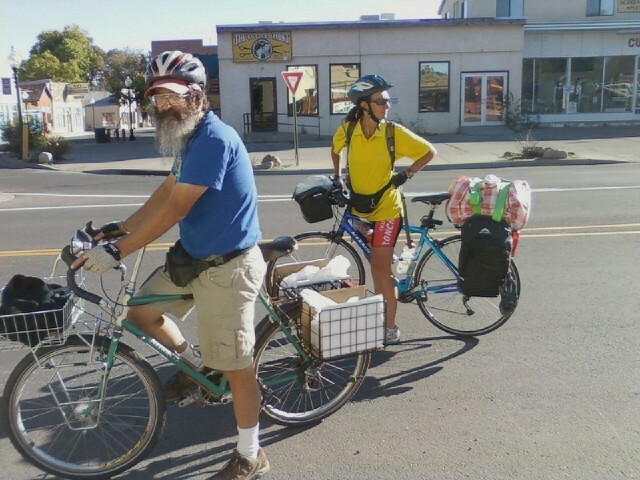 Glenn, looking not too "homeless", and Renata, ready to go out front of Gila Hike & Bike. 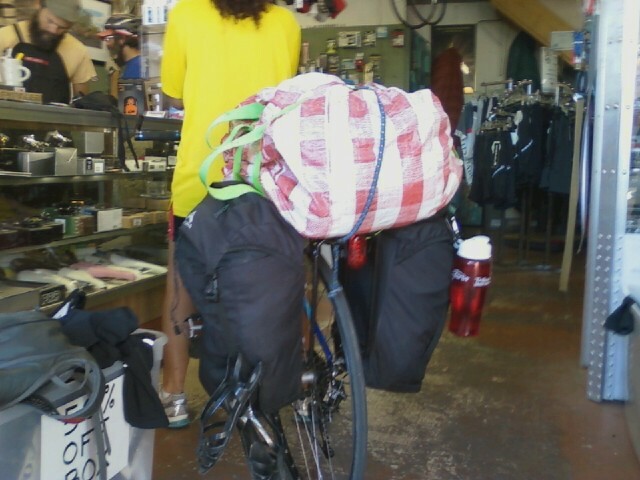 As I've stated before, this town is pretty cool when it comes to meeting touring cyclists from all over the globe. Despite the two unfriendlies that I met earlier today, Renata more than made up for them. 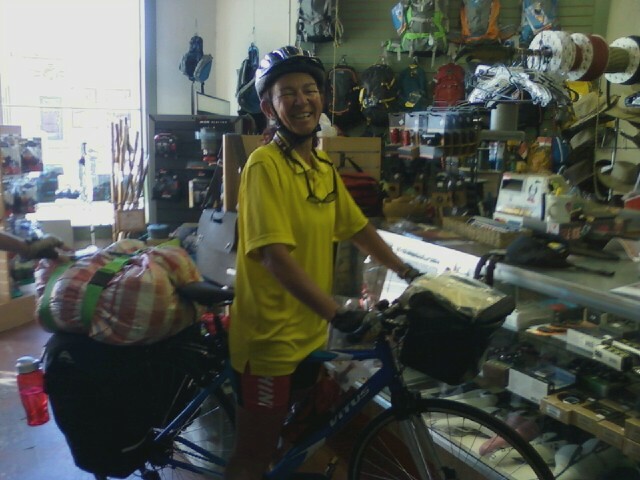 Best wishes to her for a safe, fun ride across the South. Here's a tune for her...a real Texas boy singing, "I'm Holding My Own". Got to get used to that shitkickin' country music, if you're going through Texas, y'hear? Now, y'all have to have songs like this one, too...Roy Rogers and Clint Black doing, "Hold On Partner". 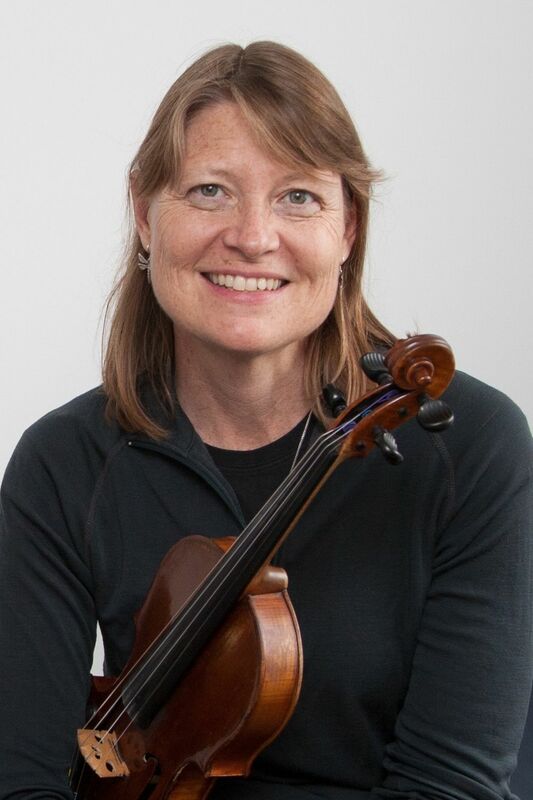 Along with a bunch of actors that have played cowboys on screen...enjoy, Renata!